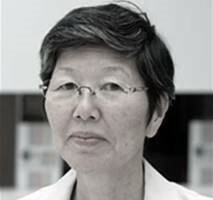 We are honoured to announce that Dr. Yuko Harayama has joined the Elsevier Foundation Board which provides strategic guidance to the Foundation’s programming and governance. Dr. Yuko Harayama is the former Executive Member of the Council for Science and Technology Policy, Cabinet Office of Japan. She is the former Deputy Director of the Directorate for Science, Technology and Innovation, OECD. She is a Legion D’Honneur recipient (Chevalier), and was awarded honorary doctorate from the University of Neuchâtel. Previously, she was Professor in the Department of Management Science and Technology at the Graduate School of Engineering of Tohoku University. She holds a Ph.D. in education sciences and a Ph.D. in economics, both from the University of Geneva.